At the beginning of our move to Koh Samui, I found myself continuously researching multiple websites to figure out the transportation of Koh Samui. Koh Samui has no real public system even though it’s one of Thailand’s largest Islands. However Koh Samui is still relatively large in size and can take approximately an hour and half if you were to travel around the whole Island. Fortunately learning your navigation on this Island is not difficult. There is a single ring road that circles the Island called Ring Road. Follow the road signs off Ring Road for each area you want. On Koh Samui, there are about 4 ferries, 1 airport, 1 mainland airport, and an island transportation that we will cover all your options. There are multiple options available to make your way around the Island. You can hire a motorbike taxi, a car taxi, Navigo, or catch a Songthaew. Koh Samui is known to have a “taxi mafia”. And the rates to move around can be quite exuberant. The base rate to get into a cab starts at 100 baht. Here are the standard fares to get around the Island if you were coming from the Airport. 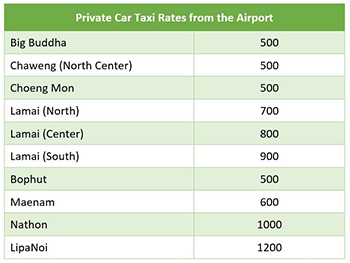 The Airport taxi rates are approx 200 baht different than what you will find approximate taxi rates to be. You can easily flag a taxi cab down or can have your hotel call for a pick up. If you are staying on Koh Samui for only a short while, don’t waste your time always commuting to where you want to be. Choose one of the accessible areas to book your hotel. If you choose to stay in Chaweng or Lamai, everything you need is within easy walking distance. Most tour companies will also arrange for hotel pick up and drop off if you are book a tour. If you must get around, read our information below on how-to. 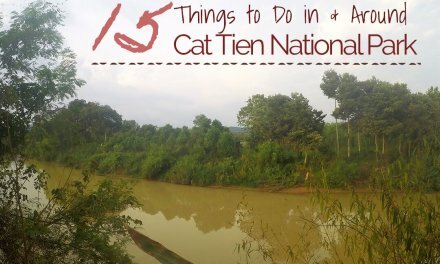 We lived in the much quieter area of Nathon, so getting to the other side of the Island was starting at 500 baht – 800 baht. 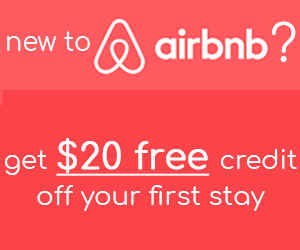 That’s $20 to $30. In Canada, these rates are very typical and is what you expect to pay, however in Thailand transportation can be quite affordable. In Bangkok, we caught a 45 minute Uber to get around the city and our total fare would be 80baht. If you don’t want to catch the traditional cab, a relatively new service on the Island is called NaviGo. Navigo is similar to Uber, you download an app, enter your destinations, get a fare estimate and can see how long until your pick up. The rates are approximately 30% less than a cab and the SUV cars are very comfortable. Catch a Songthaew. It’s also fun to ride around in the back of a pick up truck! The Songthaew’s main station are at Nathon and Chaweng Station. From Nathon, they depart clockwise around the Island every 10 minutes. This is in the direction towards Ban Talingnam and Lamai and completing at Chaweng station. From Nathon, every 10 minutes a Songthaew departs in the different direction headed towards Maenam. So every approximately 10 minutes you will see a Songthaew driving down ring road. Just wave them down to catch a ride and hop in. Negotiate with the driver prior to getting in and confirming where you get dropped off. The fare is not set, it is supposed to be 40 baht, however each Songthaew driver will negotiate the fare. We paid approx. 60 to 80 bath for Songthaew fares. At night, these bright red Songthaew’s change to a dark red Songthaew. Essentially they transition into a cab, in that they will take you wherever you want to go and all prices are negotiable. You can find Songthaew’s accessible around the popular night spots. If you decide to venture walking in Koh Samui, you will soon find yourself wanting to purchase “no taxi” shirt. Walking down the street you will find multiple people honking at you to get your attention for a ride. Songthaew’s, taxi’s, motortaxi’s, and sometimes just random vehicles. 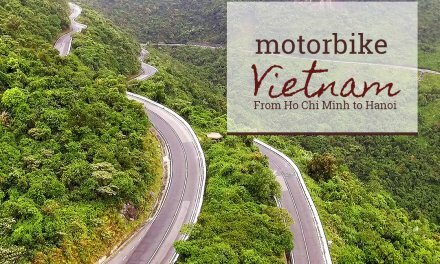 If can be quite easy to grab a motortaxi and hop on the back for an exciting scooter adventure. Negotiate direct with the motor taxi before you get on as they are fixed price fares. You will find, any person with a motorbike is more than happy to be your taxi, but you can look for the specific motortaxi’s that are wearing blue vests. Otherwise, the last and in our opinion the funnest option is to rent a scooter. If you haven’t ridden a motorbike before, Koh Samui is the perfect place to learn to drive like I did. The roads have moderate traffic with lots of areas with very little traffic to learn on. Being that Koh Samui has a main road going around the Island, it’s hard to get lost. Lipa Noi is located at the end of the Lipa Bay Beach and is called Raja Ferry Port. Don’t worry it’s just around the corner so you won’t see the ferry terminal when your at the popular Lipa Bay Beach. Raja Ferry Port supports AirAsia and Seatran routes. Nathon has 3 ferry piers that include all of the ferry companies, Lomprayah, Seatran and Songserm. Bangrak Pier or Big Buddha Pier is the closest ferry pier to the Airport and for Koh Phangan ferries. Lomprayah is easily the premier ferry company with each of their speed boats being large ferry sized speed boat Catamaran’s. Each speed boat offers and air conditioned cabin, VIP cabin, 2 levels of outside deck and seating and snacks cafeteria. 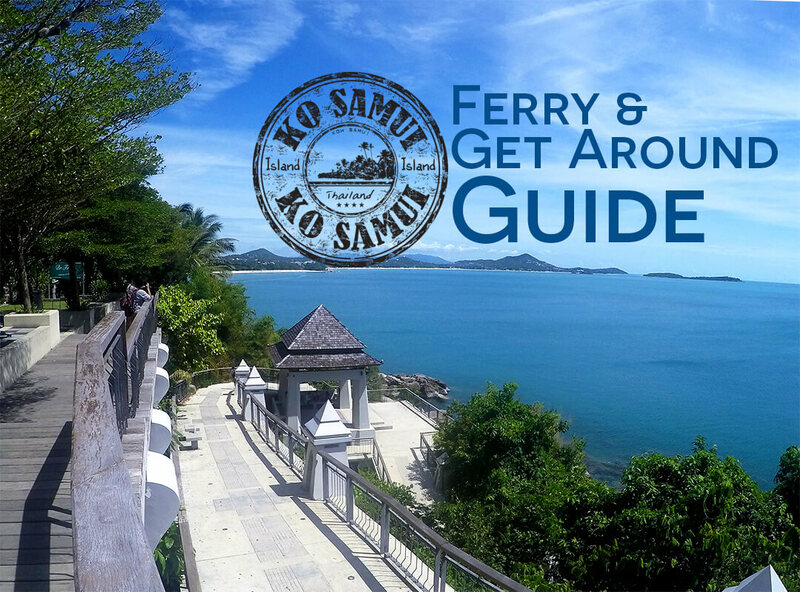 The total ferry time is 45 minutes from Koh Samui to Surat Thani. They are a very organised well run ferry company. Seatran is the slow speed ferry that is the only ferry to offer vehicle transportation. They are the most affordable option and the choice for any Thai locals to take. The boats are more industrial boats but offer basic services and seating area for passengers. Not a ferry company but you can book through a booking agent online called Ferry Samui. Airport located on Koh Samui. This airport is probably the cutest airport you will ever see, with being a completely open air structure, and large huts. Airport located in Surat Thani, which is the mainland. To reach this airport you will need to take the ferry from Koh Samui to Donsak and take a hour and a half bus to the Surat Thani Airport. Each bus + ferry ticket to the airport will schedule your arrival for 2 hours before your departure. Note: When searching for flights online, you won’t receive results for Air Asia, however search the AirAsia website with the airport number as Lipa Noi Pier. You will find AirAsia offers one of the most affordable flight options, at approx. $40-50 a ticket and competitors start at $130. The reason being is that Bangkok Airways owns the Koh Samui Airport so they charge all other airlines a much higher airport tax. Airasia offers it’s affordable price option because it includes the ferry to Donsak, the bus to Surat Thani and then the airplane to Bangkok. If you are travelling a bunch around Thailand, we would suggest checking out the AirAsia ASEAN Pass review where you can travel for 10 flight credits for $160 usd. Being on an Island can be restricting in that you don’t have as much free flow. You can’t come and go from the Island as you please. Koh Samui has done a great job offering premier or standard options to both fly and ferry off the Island. 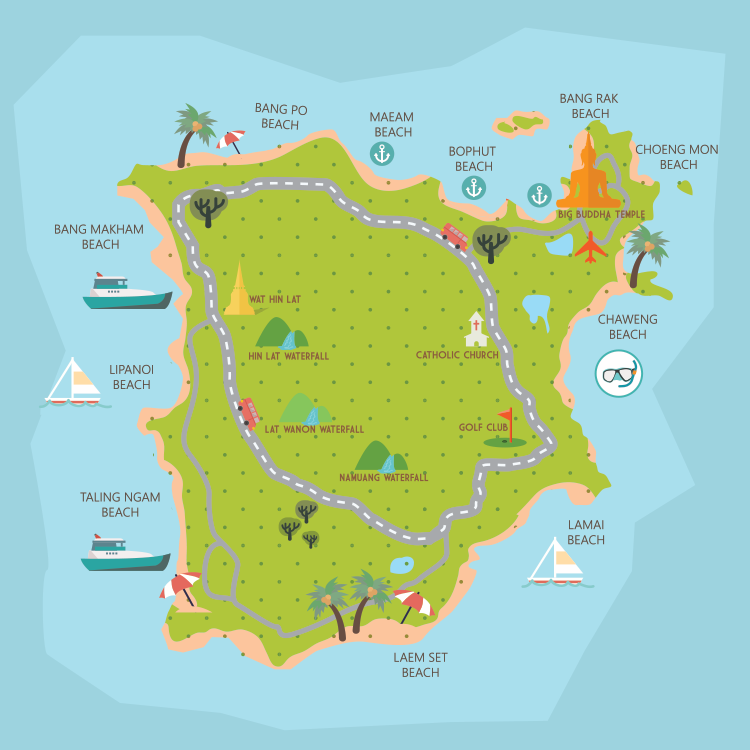 There are also numerous routes running each day to get to Koh Tao or Koh Phangan. Although our biggest complaint was it could be more affordable like some of the other Thai Islands. 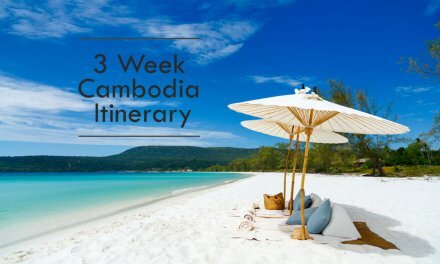 While you are there follow our 3-day Koh Samui DIY Tour and Itinerary. If you have any questions, please comment below and more than happy to answer your questions!